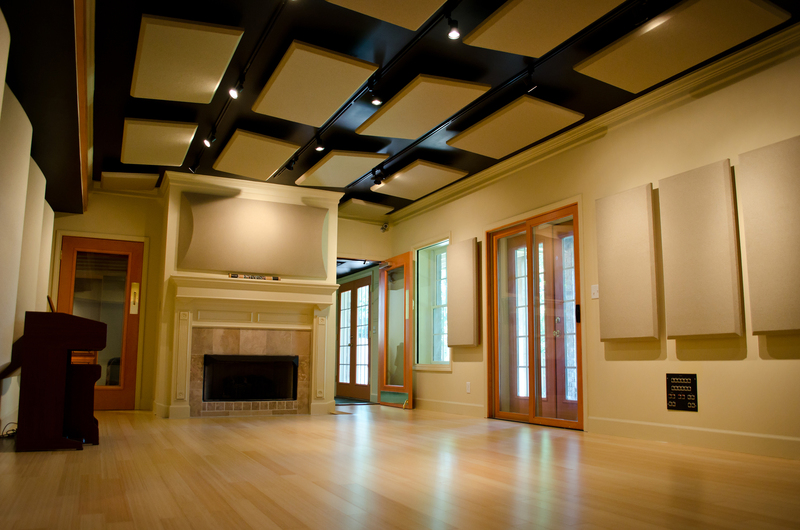 The Blue Grotto is available to outside producers & engineers to rent at a competitive rate. If you need a studio environment where you can feel confident to bring your clients to give them a sense of creativity and comfort while also providing high-end gear, then the Blue Grotto is ideal for you. The studio has plenty of natural light and comfortable spaces as well as space enough for medium-sized tracking sessions. Our gear selection (listed below) includes a variety of outboard preamps allowing you to pick the ideal tone both for the source and production. As a mixing environment, the Blue Grotto boasts an award-winning Carl Tatz PhantomFocus monitoring system which makes mixing that much quicker as you are able to much more easily pinpoint and deal with errant frequencies or issues in your track. It also helps your mixes translate to other systems – what you hear is what you have: no more guessing or feelings of dread as you listen in the car. This also benefits tracking or overdub sessions immensely as you hear exactly what the mic is picking up without any coloration from the monitoring itself, helping you record parts that work together far more with less masking. The Blue Grotto control room, designed by TEC Award winning studio designer Carl Tatz, boasts a state-of-the-art PhantomFocus monitoring system, coupled with custom designed floating floors & ceiling, room layout and wall treatments. Married with Dynaudio M1 & M3 monitors, the listening environment in the control room is one of the best in Nashville. In fact, most engineers who visit the Grotto agree. Whether tracking an ensemble, mixing a song or film, or cleaning up on-set audio for film or television, every nuance of the audio material you’re working on is exposed, changing the way you think about production, arrangement, editing and mixing. This not only makes the Grotto a great place to record and mix, but also creates the perfect listening environment for sniffing out those troublesome frequencies and elements in your works-in-progress. All the engineers who have mixed here agree that they achieve better mixes in a shorter space of time because of the accuracy of the monitoring. Don’t believe us? Feel free to contact us for a demo session in the control room. Our beautifully designed 419 sq. foot tracking room has just the right amount of life in it, making it incredibly versatile – perfectly suited for recording bands, ensembles of any kind, overdubs, voice overs, ADR and foley. Light spills into the room to create a cozy, comfortable atmosphere to be creative in, with plenty of room for musicians and gear alike. The Aviom Cue System and CCTV monitoring of the room allows for easy communication between the tracking room and the control room. We have several stock music libraries on hand as well as a huge sound effects library for any sound design requirements.